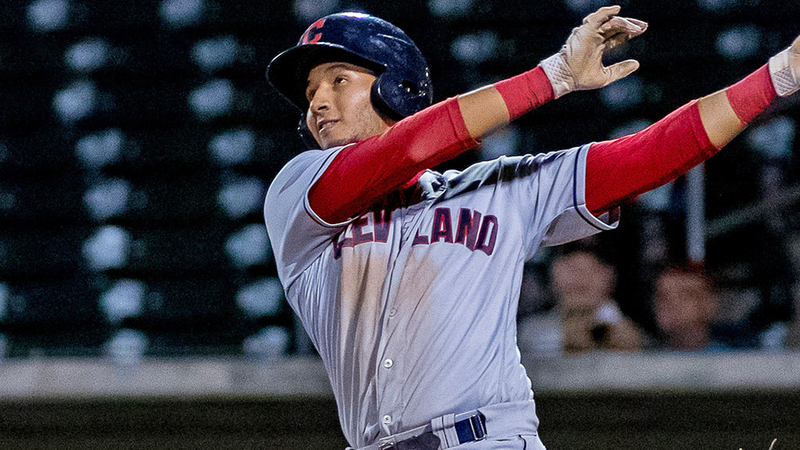 Jerez leads the AZL with 14 homers, 101 total bases, a .577 slugging percentage and .303 isolated slugging percentage over 48 games with Indians 1, one of two Cleveland affiliates in the circuit. He also ranked second with a .937 OPS and third with a 154 wRC+ over 200 plate appearances. The Dominican Republic native was one of only two AZL sluggers to reach double-digits in home runs. This came after the right-handed slugger produced just one long ball over 30 games in the same circuit last season. He also moved from being a full-time catcher in 2017 to splitting his time between first base and left field this year. Padres second baseman Tucupita Marcano was perhaps the second most notable hitter honored by the league. The 18-year-old earned his spot after leading the league with a .395 average -- no other qualifier hit better than .355. He was also tops with a .497 on-base percentage and a .940 OPS, just squeaking past Jerez in that category despite only five of his 49 AZL hits going for extra bases. He was promoted to Class A Short Season Tri-City on Aug. 8. A's right-hander Richard Morban was one of two starting pitchers to feature on the AZL All-Star squad after leading the league with a 1.92 ERA and finishing second with 64 strikeouts in 61 frames. White Sox hurler Taylor Varnell -- a 29th-round pick this year out of Oral Roberts -- was the left-handed honoree after posting a 1.97 ERA and leading qualifiers with 0.88 WHIP over 45 2/3 innings. Carmelo Martinez was named Manager of the Year after leading his Cubs 1 squad to a league-best 38-18 record. That team is down 1-0 to the AZL Dodgers in the best-of-3 Championship Series.